The Indian Bollywood super star Aamir Khan is on Haj this year along with his mother Zeenat. Also, on Hajj this year is Shahid Afridi, Inzamam ul Haq and Saeed Anwar. 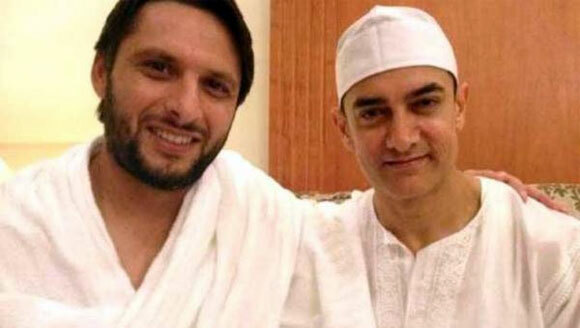 Shahid Afridi and Aamir Khan met each other on Hajj this year. Take a look at their picture.